Access Locksmith has been proudly serving Cabarrus County and the UNC Charlotte area with a quality locksmith service since 1987. We are licensed by the North Carolina Locksmith Licensing Board, a proud member of the Associated Locksmiths of America (ALOA), and are bonded and insured. 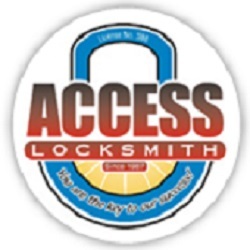 Access Locksmith is home-based but we offer mobile service with 95% of our work accomplished in the field. We come to you with emergency lockout service for home, auto or commercial application.